If you want to design a vertical comic, these vertical strips may be just what you are looking for. 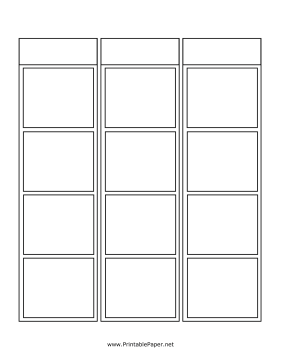 Each strip includes four boxes and a title area. Combine multiple strips for a longer story!